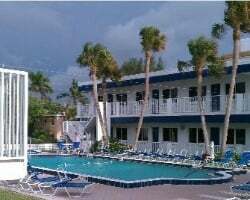 Discover the charm of Anna Maria Island and the serenity of Bradenton Beach with a Via Roma Beach Resort timeshare resale or rental from SellMyTimeshareNow.com. Browse our inventory and uncover savings up to 70% off retail pricing. What’s My Via Roma Beach Resort Timeshare Worth? Life moves just a little bit slower at Via Roma Beach Resort. This quiet, private beachfront gem gives you easy access to the white sands of Bradenton Beach for plenty of activities ranging from relaxing under the sun to boating and snorkeling. This Florida resort boasts a Mediterranean flair and a comfortable, laid back atmosphere. Via Roma Resort is ideal for couples as it provides an environment that is perfect for a calm, romantic escape. With its prime location, you and your spouse can enjoy plenty of privacy lounging by the pool or on the beach, while being just minutes away from plenty of nightlife, restaurants, and adult entertainment in the neighboring towns of Tampa, St. Petersburg, and Sarasota. Cozy one- and two-bedroom suites offer plenty of space to spread out and relax, while also providing bright, clean decor and a wealth of amenities that make you feel right at home. Enjoy watching the vibrant sunsets from your private balcony and even make a romantic dinner with the help of your in-unit kitchen. 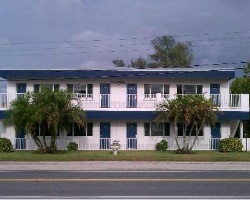 A Via Roma Anna Maria Island timeshare can be yours today! Choose to rent or own one for thousands off the developer price tag with the help of our independent timeshare resale specialists. Fill out the form on the right to get started or give us a call at 1-877-815-4227 for more information. Buying a Via Roma Beach Resort timeshare on the resale market is an intelligent choice for your vacation planning as well as your wallet. Resales are priced up to 70% off developer costs, allowing you to keep more of that money in your pocket while enjoying a luxury beach vacation every year. As a Bluegreen resort, you also have the option to use your allotted timeshare points to stay at other resorts within Bluegreen's network. Browsing through our discounted inventory, you will find great prices on deeded Via Roma Bradenton Beach properties available for annual or biennial usage. All these timeshares offer points-based ownership for full flexibility on when and how long you vacation for each year. The best aspect of being part of the Bluegreen Vacation Club automatically when you buy a Via Roma timeshare, is that you are able to use your allotted Bluegreen points to internally exchange your timeshare for a vacation at any other Bluegreen resort location. 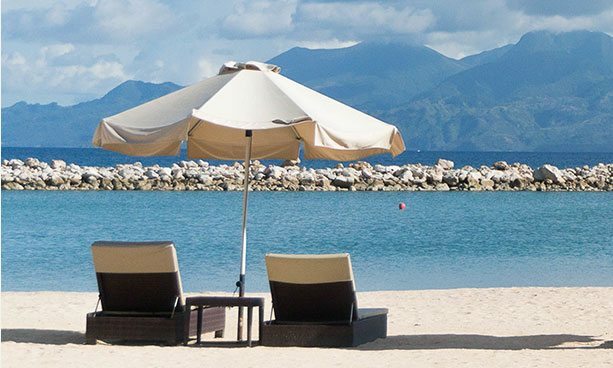 With no resale restrictions, it only makes sense to save thousands of dollars and purchase a Via Roma Beach Resort timeshare on the secondary market and enjoy all the added flexibility of internal exchange with the use of points. Outside of the dozens of resorts you are able to exchange into with Bluegreen internal exchange, Via Roma Beach Resort is also fortunate enough to be affiliated with both RCI and Interval International. These big-name external exchange companies are affiliated with thousands of resort properties around the globe that are known for providing top-notch vacation experiences, amenities, and services. As a Via Roma Beach Resort owner, you can choose to purchase one or both annual external exchange memberships for virtually endless vacation options. 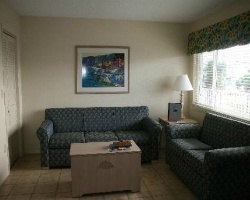 This resort is also a RCI Silver Crown resort, giving you a higher trading power within the RCI network of resorts. Via Roma Resort offers an intimate escape on very private grounds. It is the perfect spot to unwind with your spouse, lay by the pool, take a bicycle tour of Anna Maria Island, or simply watch the waves crash on the sand. This beachfront property also offers on-site BBQ grills right by the beach so you can enjoy an oceanside meal of your fresh catch of the day. Bradenton Beach is a peaceful location where people come to relax and walk the white sandy beaches and watch the palm trees sway. 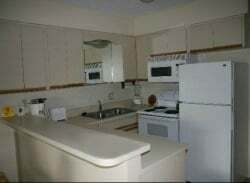 However, this prime location also puts you close to the more upbeat locations such as Tampa and Sarasota. Get your thrills at Busch Gardens, visit Mote Marine Laboratory, or take in the beautiful nature at Selby Botanical Gardens. Already Own at Bluegreen Via Roma Beach Resort?